Coffee is a unique beverage in that how you prepare your coffee can make a huge difference in flavor. Whereas wine is essentially a finished product that you uncork (although the type of glass and foods your pair it with can affect flavor), how your coffee tastes depends on your preparation methods. And the most important way to improve your cup of coffee is to understand how to grind coffee. Here we will compare the types of grinders, from conical burr grinders, flat burr grinders, and blade grinders. We will also list how long you should grind your coffee for most brewing methods, like the French Press, Percolator and Drip Machines. I hope this guide helps you better understand coffee brewing methods and you can apply this to making your morning cup a little more tasty. You can tell just by looking at coffee grinds whether they are top quality. In this accompanying picture, you can see that the coffee grinds produced by a blade grinder are uneven: there are giant pieces of beans that are still intact, and also little tiny particles no bigger than a speck of dust. Neither of these particles will give you much flavor in your cup. Uniform Size - if all the coffee grinds are the same size, that means there will be even flavor extraction. Burr Grinders are better able to produce even coffee grinds. No Heat - Heat is very damaging to the very sensitive flavor producing particles in coffee. Avoid grinders that produce a lot of heat when grinding up your coffee. Freshness - That wonderful smell when you grind up fresh coffee beans is actually flavor rapidly escaping. Make sure you grind your beans just before brewing your coffee. Once exposed to air coffee rapidly loses its flavor. This is why whole bean is always superior to pre-ground coffee. How Do You Grind Coffee? Blade Grinders - These are the cheapest (and understandably most popular coffee grinders. They have blades that chop up the coffee beans. These types of grinders destroy coffee flavor in two ways: they create both large and small coffee particles (which creates uneven flavor extraction) and it rapidly generates heat. Flat Burr Grinders - The next step up is Burr Grinders, which features two 'burrs', or flat plates, that pulverize the coffee beans. 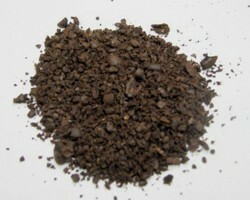 Pulverization is a better method because it creates uniform-sized coffee grinds, and also generates very little heat. However the flat burr grinders aren't perfect, and sometimes whole coffee beans can escape being pulverized by the flat burrs. Conical Burr Grinders - The best type of burr grinders are conical burr grinders. Instead of two flat plates, there is a flat plate and a cone-shaped plate. The increase in surface area means that the coffee grinds are spread out and pulverized more evenly. No coffee bean can escape unscathed when it comes to conical burr grinders. The Best Places to Find Great Prices. Coarse Grind (for French Press or Percolator): 8-10 seconds. See the Different Coffee Grinders in Action! Let's Grind out some Comments! Hi frugalrvers! As a former barista I have some ideas: every Starbucks has a water filtration system. Since coffee is 99.5% water, this can make a huge difference. Plus the coffee machines heat the water to just below boiling, which makes for maximum flavor extraction. Most coffee makers at home don't heat up the water enough to get the most flavor out of your coffee. I think I have some ideas for a new Wizzley page. Thanks!! Welcome to Wizzley! This is a great first article...I truly had no idea about how grinders impact flavor and the various types that are out there. I have a question - I don't go to coffee shops very often, like Starbucks, but when I do it tastes so much better than if I bought some of their coffee to take home (on a limited budget, so doesn't happen often). What is their "secret?" Is it in the grinding? Well, I've learned something from your article about how to grind coffee. I'm actually more of a tea drinker, but it's hard to beat a really good cup of coffee.